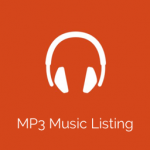 MP3 Music Listing is a great plugin for creating a MP3 music social directory. This mooSocial plugin features everything you would need to create music social network. The features are including creating playlist, create albums, add song to favorite, rate albums, songs... are vital for successful music social network. For a Free user, you can upload a total of 180 minutes (3 hours). A Pro user can upload a total of 360 minutes (6 hours) and a Pro Unlimited user has no upload limit at all. The max upload filesize also need to be set separate from the other plugins and core files. It would be nice if the total minutes can be set by userroles, and like soundcloud, see on a dashboard how many minutes are spend. ketkew Even soundcloud can not figure that out Just create a solid term where you declare that uploading copyright material is not allowed.. and/or (and thats why I did a separate request) implement the creative common license. Hmmm at the addons site you aren&apos;t able to upload files bigger as 2mb. But if I import from soundcloud bigger files directly, it is possible? Is this a bug? 2. Does this plugin works with S3 storage? 3. Can I exclude member access by removing some settings at the user roles? (example: members are able to listen, but cannot upload. Premium members, defined by another user role are also able to upload). ketkew Is there someone who can give some answers? Mark maybe? Mark 1. Admin can&apos;t configure this. 3. You can configure at roles setting. If you don&apos;t want to allow member to upload, please disable create new role. Only enable view role. MP3 Music Listing plugin Version 1.41 is released. MP3 Music Listing plugin Version 1.3 is released. 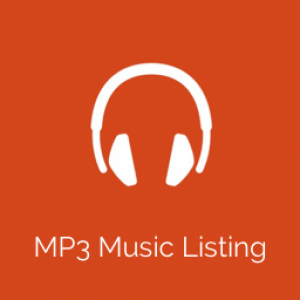 MP3 Music Listing plugin Version 1.3 is released. Change log: + Compatible with 3.0.2+ Compatible with MooApp 1.2 Please go tohttps://moosocial.com/product/mp3-music-listing/to see detail. I really can&apos;t emphasize enough how needful continuous music is for this player. I am considering the purchase and I have written to your support already about ajax as I need the music player to play uninterrupted between page loads. However, your support said it is not possible to make ajax because mooSocial isn&apos;t designed that way. Please reconsider adding this option as a free feature. Your support asked for $125 to add an option for a pop-up audio player. I&apos;m not sure they understand my req... moreI really can&apos;t emphasize enough how needful continuous music is for this player. I am considering the purchase and I have written to your support already about ajax as I need the music player to play uninterrupted between page loads. However, your support said it is not possible to make ajax because mooSocial isn&apos;t designed that way. Please reconsider adding this option as a free feature. Your support asked for $125 to add an option for a pop-up audio player. I&apos;m not sure they understand my request because of not speaking fluent English? Support said they could add a "new tab" for the player when link is clicked. Do they mean "pop-up" window? Because that&apos;s what I would want if ajax can&apos;t be done. If it&apos;s a pop-up window function, it also needs to be able to respond to songs being added to playlist, etc.,. and not just open up to play audio and have no further control over it. Is this even at all possible with your MP3 Music Listening plugin to send songs and make playlists to a pop-up audio player? I also think the pop-up player should be an option that is chosen by users -- they can either use it or not. Also, can this work with having MP3 files on another server such as Amazon S3 or other cloud service? Such as using a http link pointing to external MP3? The rating music should be an option the admin can choose. I should be able to hide it with CSS, but the best way is to have an option to disable in admin side. And will it work with the new S3 option to send uploaded audio to the cloud if chosen? I&apos;m very interested in this plugin and hope that you would really consider making this continuous music play option "included" with the plugin. It really can&apos;t be a "true audio plugin to work like soundcloud community" if it can&apos;t have continuous music playing. The whole idea of this feature is to have uninterrupted listening experience as users surf the site. Thank you for listening and hoping this can be done :-) Cheers! Thanks for feedback. I will discuss with production team and let you know our solution soon. Gary and Rhonda Thank you Mark. You have a wonderful weekend too. One more suggestion for your team is to find a solution on how it appears on mobile phones. The audio player covers the needful navigation tools on mobile phones at bottom, unless you choose to minimize the player, then you can see the navigation at bottom. However, most people do not know to minimize the player, so I&apos;m concerned of how this would work for mobile users. I also noticed an error with the minimized player, when it is minimized a... moreThank you Mark. You have a wonderful weekend too. I also noticed an error with the minimized player, when it is minimized and you switch pages it does not continue to play the song. The audio player only continues to play music when it is in maximized position at bottom of page. At least for me this is what happened using Chrome browser. Gary and Rhonda Can the download option be disabled in backend? We don&apos;t need the download option for music. 1. music player to play uninterrupted between page loads: mooSocial does not support ajax loading for all pages so that we can&apos;t implement this now. Temp solution is open the player as a new browser tab when member click on "Play" button to play a song. However, if they click on "Play" button again -> new browser tab will appear. Member has to close the previous one. Still do not have a very good solution for this. 2. We will add option for admin to enable/disable download and rating at next version. ketkew Mark .. point 1, with java or jquery, I think it is possible to define the child window name (the popup) and a refresh method.. and once you click another song the same child window will be refreshed. Don&apos;t open it in a new tab, just define a child window with max width/height. Mark thanks for suggestion, will ask team try this way. Mark ketkew we can&apos;t open a child window as your suggestion because most of web browser blocked that by default. User has manually unlock if they want to listen to music. It&apos;s not user friendly I think. 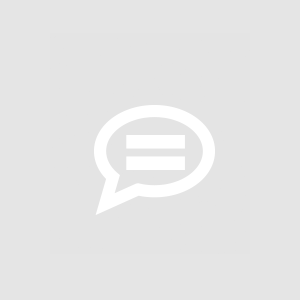 Mark thanks for the link ketkew, it&apos;s working like what is mentioned in the link. Suggestion #1 there should be a way to highlight achievements for a defined period of time such as “most downloaded today” or “most played this week” etc. Mark please send us ticket. how to set up auto play when user open the song link !!! Mark there is no setting for that now.